The Walk-in Access service enables University of Portsmouth Library external members and visitors to access a range of electronic resources (e.g. ejournals, ebooks and databases), whose licence agreements allow use by anyone on the Library premises. Please read the conditions and restrictions on use under Further information below before using the service. 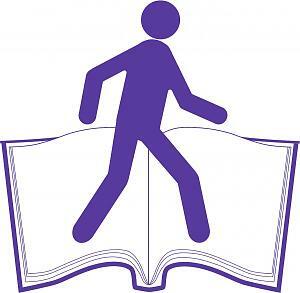 Please note, day visitors wishing to use the Walk-in Access service will be unable to gain access to the University of Portsmouth Library during the University's dissertation hand-in and examination period, from Monday 6th May 2019 until Monday 27th May 2019 inclusive. You won't be able to use the service without producing the specified identification. Please also bring with you a portable USB device (walk-in access does not include a printing account, so you need to save resources to print at home later). The Walk-in Access computer terminals have a USB port to enable you to save information. The service is available only when the Library Help Desk is staffed at the University Library. It is not available during self-service hours. See University Library opening hours for details (note that these vary according to the time of year). To use the service, please ask at the Reception Desk or the Library Help Desk in the Library on arrival. You will need to provide proof of identity and current address and agree to the Walk-in Access Terms and Conditions each time you use the service. These resources may only be used for educational purposes. Use for commercial purposes is prohibited. 'Walk-in use' means access to electronic library services just from within the Library building. There is no remote access available for Walk-in users. Library staff are only able to provide minimal support to individuals using this service. The resources have extensive online help pages and we would expect you to make use of these. We have also created some basic guidance for you. The selected resources available to you are listed by subject. They have extensive online help pages and we would expect you to make use of these. Some e-resources are not included in this service and are therefore not listed here. The service does not provide access to email, software (eg Microsoft Office). There are a limited number of Walk-in user accounts available each day. Access to particular resources or access to the service may be withdrawn at any time.